Special high pressure design lets you blast through jobs faster and more thoroughly. Oil Alert feature shuts down engine if oil drops below a safe operating level. Metal roll cage adds strength and extra protection for extended durability. 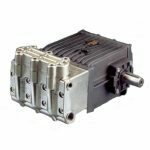 All Kodiak transfer pumps are engineered and manufactured to provide the utmost in quality and reliability for professional end-users. 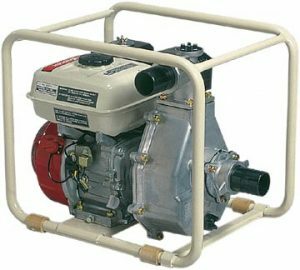 The Kodiak PWP2SCH5050 High Pressure Pump is ideal for irrigation, ï¬reï¬ghting, or any applications where higher discharge heights are necessary. Fire Kit available separately. Overall Kodiak has the pump to get the job done.